Lucky is for sale on the website "thehorsebay" you can visit this site to view videos, papers, coggins, vet inspection, price information (can change at anytime) and much more. 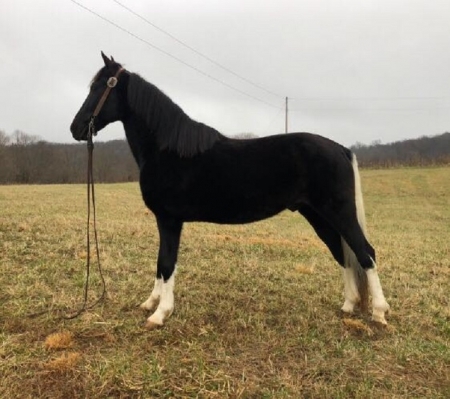 : Lucky Aces and 8s is a 12 year old, 14.2hh, Black Tobiano gelding that is as nice as anything we have had! Lucky has been a family owned horse and every member has ridden him from youngest to oldest. He is a very friendly and affectionate type of horse that loves attention but he is always respectful of your space. Lucky has a smooth 4-beat gait and does it naturally. He has a nice lope as well. Lucky will move on out when you ask him but he is content to walk as well. He takes his time in rough rocky areas and picks his way thru rough terrain. He doesn’t get in a hurry whether being ridden in groups or around the camp grounds. Lucky is great on trails, will cross creeks, ditches, logs, bridges and is traffic safe. He will ride across virtually any obstacle that he is asked to and has has guns shot off of him. 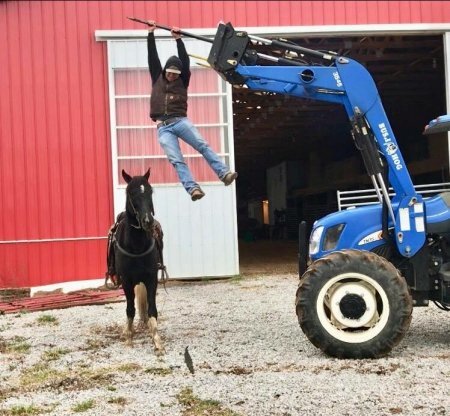 Lucky is not a spooky acting horse and has handled every situation that we have had him in. 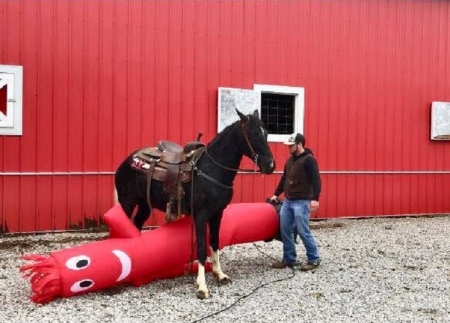 He is easy to tack up, bath, clip and loads with ease. Call with any questions!!! It could be your Lucky day!